This recipe is known by many different names and always uses salt and pepper - but now, replace the salt and use the Low Sodium Chicken Salt. As for the names of this recipe, they can be "Hole In The Middle", "Toad In The Hole", Bird In The Basket" - nonetheless, this recipe takes you back to your childhood and, for some, their adulthood. When my bride Iloe and I first got married 17 years ago, she wanted something different for breakfast one morning - to which I said "I'll make you a Hole In The Middle". She looked at me perplexed as I went into our kitchen to make this fast breakfast treat. Cut a hole in the middle of bread and reserve the removed portion to toast. Put the butter in a skillet over medium-high heat and place the slice of bread in the skillet once the butter melts completely. 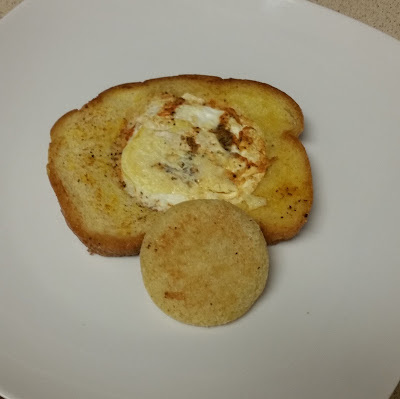 Break the egg into the hole in the slice of bread and salt and pepper. Flip over the bread/egg carefully and continue to cook until egg is over-easy. 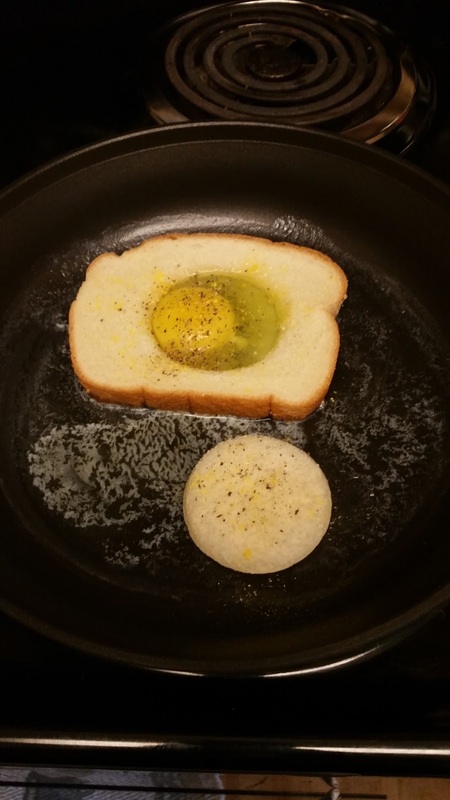 Also, while the egg is cooking, take the reserved portion of bread from making the hole and toast it in the skillet, as well. Enjoy!